"Masonry has more to offer the twentieth century than the twentieth century has to offer Masonry." Dr. Pound is best known for advancing the "theory of social interests" in law, asserting that law must recognize the needs of humanity, and take contemporary social conditions into account. 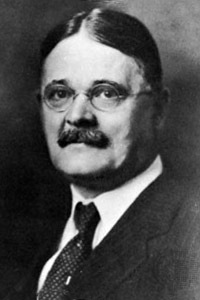 Pound's work inspired many including Franklin Delano Roosevelt who utilized Pound's theory in constructing the New Deal program of the 1930s. 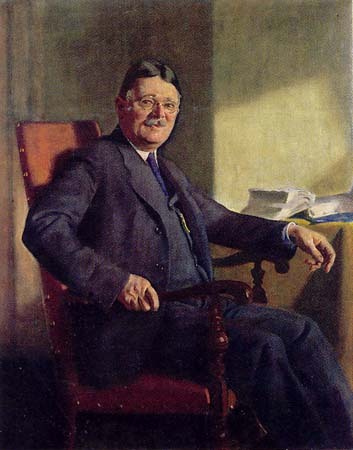 Professor of law at Harvard University from 1910-47 and dean from 1916-36, Roscoe Pound served on legal commissions throughout the world and is the author of numerous law texts. He has also written extensively on masonic law : Masonic Jurisprudence (1919) ; Masonic Landmarks, The Data of Masonic Jurisprudence (48 pp.) ; Masonic Lawmaking (48 pp.) ; Masonic Common Law (56 pp.) ; Lectures On The Philosophy of Freemasonry (1915) ; Lectures on masonic jurisprudence (1920) and others. Woodlawn Park Lodge No. 841, Mass.